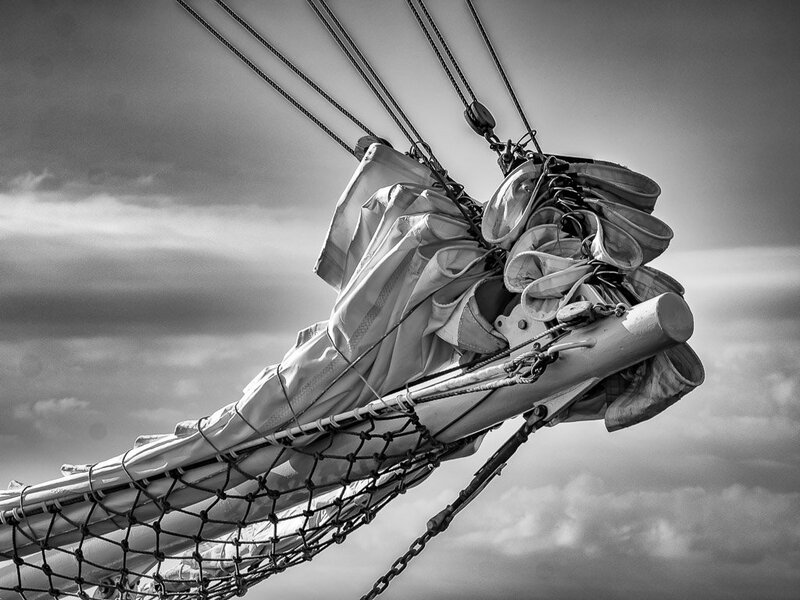 Love this in black and white, and it's so sharp and crisp, I can hear the sails creaking! I like the details and the light! Ahhh....unique and stunning. Love this and a fav! Black&white the perfect choice. Nice texture and feel iof the different types of material in the photo. Luv it! Wow! The focus is so sharp on the sails. Excellent shot, so sharp and full of interest. Wonderful clarity, it grabbed my attention straight away. A brilliant shot. It really tells a tale. The gray tones are sharp and well defined, excellent contrast, great composition. I love this. fantastic detail in all those folds. Something about this that really evokes adventure too. Nice comp and details. Like it in B&W. Adds some strength to the pic. WOW! I missed this beauty! FAVorite!!! Wonderful shot, missed this one. Fave.